It seems curious that the IMF would release a report ahead of the Greek Referendum that was over the objections of the European members. Something seems amiss. Do you have any insight on this issue? ANSWER: For quite some time, the U.S. has demanded for the Eurozone to assume the debt of Greece, just as Greece forgave the German debts owed to them in 1953. 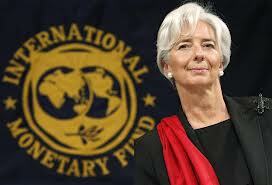 Therefore, the IMF withdrew from the negotiations and released their report that Greece could not pay. For the U.S., it is clear that Greece must remain in the Eurozone since it plays a central role in the planning of NATO for geopolitical reasons. Lagarde was placed there by Obama — never forget that.